Delete that E-Mail; Check out these geese! Have you gotten a frantic e-mail alerting you to legislation that would require manufacturers to put ID numbers on both bullets and casings? What they want is to have each box of “handgun and assault weapon” ammo to be so labeled — each box of ammo would have a unique number, and the buyer would be required to present a driver’s license and have his/her name and other info recorded in case the bullets or brass were found at the scene of a crime. The e-mail states, rightly, that this is simply a way to get your right to bear arms away from you without confiscating your gun. The ammo manufacturers would be unable to produce the ammo without costly re-tooling, and ammunition prices would skyrocket. The e-mail further states that the legislation is pending in 18 states, including Arizona. Well, don’t get your shorts in a twist — even though snopes.com didn’t know the status of this particular piece of nonsense, the office of Arizona Legislator Jim Weiers gave us the skinny. The Ammunition Accountability Act was actually proposed last session by a Democrat. However, the bill was so “odious” to everyone that it never got a hearing, and no one ever supported it. It died a lonely and unmourned death. So, for heaven’s sake, don’t forward that e-mail anymore — at least not if you live in Arizona! Snow goose populations have reached levels that are now causing extensive damage to their breeding grounds as well as the wetlands and agricultural areas where they overwinter in the Mid-Atlantic, including Delaware. The USFWS is taking actions to reduce and stabilize snow goose population by over 50 percent between beginning of 2009 and 2013. Waterfowl hunters in New York will have a special opportunity to harvest snow geese in most areas of the state beginning in spring 2009. DED has announced plans to implement a recently approved “Conservation Order” for snow geese. A Conservation Order is a special management action authorized by the federal Migratory Bird Treaty Act to control certain wildlife populations when traditional management programs are unsuccessful in preventing overabundance. 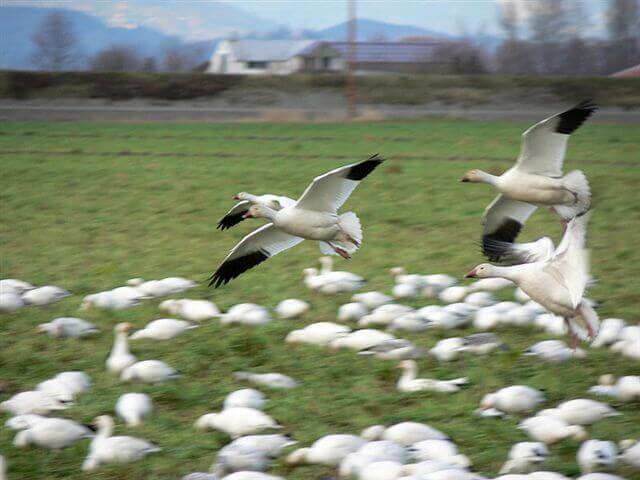 Federal and state regulations were amended in fall 2008 to allow this additional harvest of snow geese, in response to concerns about their growing numbers across North America. The Arkansas Snow Goose Conservation Hunt takes place after duck season and runs from through April 25. The geese usually stay around until the beginning of April, says Beretta. The season has no limit on the number of geese you bag, no plug requirements, and no Arkansas hunting license needed. However, you will need to call 1-800-364-GAME for a free snow goose hunting permit. You are also required to bring an out-of-state hunting license (i.e., your Arizona hunting license) for this hunt. This superb autoloading shotgun was designed and built to reliably function 2 ¾-inch, 1-ounce equivalent loads through brutal 3 ½-inch magnum loads — interchangeably if you so desire. The Xtrema2 has more recoil reduction features than any other autoloading shotgun on the planet. Check out the Xtrema2 — it’s perfect for everything from doves to geese.